Each reading strategy has a character. That character uses their thoughts to help the students write about the reading strategy. To use these, I printed them on card stock. Then I cut them out and glued them to a colored ice cream stick. 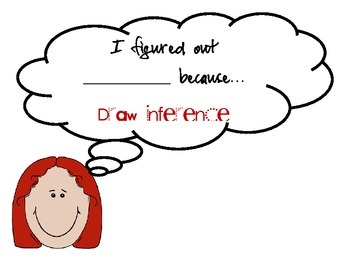 I use these as a whole group, independent work, or during guided reading. 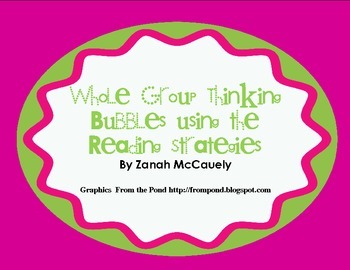 As a whole group, when I introduce the reading strategy the thinking bubble guides me to show students how to write my thoughts. 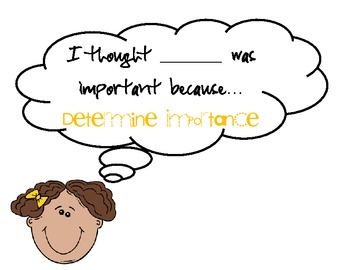 For independent work, I pass out these thinking bubbles and have students do journal work on the story being read. The same concept is done during guided reading. The students really enjoyed using these thinking bubbles and they are a good resource to use for each reading strategy. They are also available in upper grades.